And So it Starts…Oscar Watch 2010 | Critical End! Welcome back, kids! Long time, no see. Did you enjoy our 2010 wrap-up show? I know we sure did! * Anyway, a lot has happened since we last spoke. Anne Hathaway was cast as Catwoman**, Tom Hardy was cast as Bane***, and it appears that Regis Philbin will be retiring soon****. 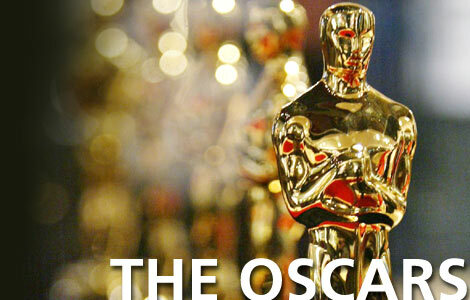 However, what the net is most abuzz about are the 2010 Oscar nominations. There really aren’t many surprises this year. I’m glad to see that Christian Bale finally got nominated. I really hope he’ll win so we can watch him accept the Oscar as Batman or John Connor or whoever the hell he thinks he is that week. Meanwhile, I may be the only person in the world who is happy to see that The Wolfman got nominated for Rick Baker’s makeup. The full list of nominations can be found here. Now is the time to start preparing for the big night by watching the last few minutes of The Naked Gun 33 1/3. ****There is nothing funny about this. The man is a legend. This entry was posted on Wednesday, January 26th, 2011 at 7:33 amand is filed under . You can follow any responses to this entry through the RSS 2.0 feed. Both comments and pings are currently closed.